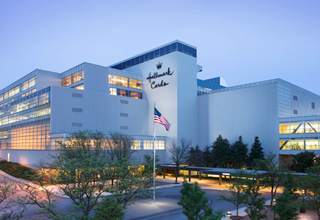 Hallmark was founded more than a century ago. Todays Hallmark greeting cards and gift business operate across the US and in 100 countries worldwide. Hallmark makes the world a more caring place by helping people laugh, love, heal, say thanks, reach out and mark meaningful connections with others. Through moments big and small, and through both happy and challenging times, Hallmark helps give voice to caring thoughts and emotions with tangible reminders of application, belonging and love. More importantly, Hallmark continues to stay close to peoples needs, understanding what is universal in the human heart and meeting those needs with products and experiences that bring people together. Hallmark believes Life is a Special Occasion. Hallmark wants to inspire you to push the pause button and enjoy every unplanned moments of life with the people you love. Providing inspiration, ideas, products, and services, Hallmark helps you pause, recognize, linger, and capture the meaningful moments you share with others, and make your daily lives and relationship a little deeper, richer, fuller. Established in 1998, it is our honor to be an exclusive distributor of Hallmark Cards, Inc. in Hong Kong, Macau, Singapore and an exclusive licensee of greeting card in China. Pacific Greetings possesses more than a thousand points of sales channel among the three regions. Pacific Greetings HK business covers both retail and wholesale distribution channel in HK and Macau. In retail channel, Hallmark shops and concession counters are independently owned and operated. In wholesale distribution channel, coverage includes department stores, supermarket chains, personal care stores, book shops, stationery shops, gift shops and more. Both channels coverage reach more than 600 sales rooftops.